Dr. Cronin is an Associate Professor at the Monmouth University School of Social Work in West Long Branch, NJ in the USA. In addition to teaching, he coordinates the International & Community Development Concentration of the Master’s in Social Work (MSW) program at Monmouth. Dr. Cronin holds a PhD from Yeshiva University and a MS in Social Work from Columbia University. His research interests and publications are in international social work, health care and social policy, disaster management, social gerontology, humanitarian law, cultural competence and diversity. Dr. Cronin serves in a leadership capacity to several domestic and international organizations. In addition to his work for IFSW, he serves on the Executive Committee of CIF International and was a past program participant in the Netherlands in 1990. Dr. Cronin has volunteered as a disaster mental health leader with the American Red Cross in Greater New York since 1996. 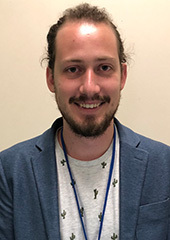 He is a nationally certified instructor and is the Chapter’s representative for international disaster mental health collaboration and was invited to be a Roster Member of the International Psychosocial Support Team for the International Federation of Red Cross & Red Crescent Societies. Elaine Congress, MSSW, DSW is Professor and Associate Dean at Fordham University Graduate School of Social Service. At the UN she is Recording Secretary and member of the Executive Committee for the NGO Committee on the International Decade of the World’s Indigenous Peoples and also a member of the Executive Committee for the NGO Committee on Migration. Dr. Congress has presented and published widely in the area of cultural diversity, immigrants and refugees, ethics, and social work education. In addition to representing IFSW at the United Nations in New York, she also serves as a member of the IFSW Permanent Committee on Ethical Issues. Dr. Anne C. Deepak is an Associate Professor at Monmouth University School of Social Work in West Long Branch, NJ in the USA. She teaches in the Masters in Social Work (MSW) and Bachelors in Social Work (BSW) program at Monmouth. Many of the courses she teaches are in the Global and Community Practice Concentration in the Masters program. Dr. Anne Deepak holds a Masters degree and PhD in Social Work from Columbia University. 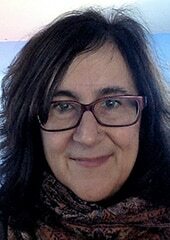 Her scholarly work has been focused on developing and applying a postcolonial feminist social work perspective to global social issues such as food security, human trafficking, humanitarian initiatives for women’s economic empowerment, social work practice with refugees and immigrants, and sustainability and population growth. Her other scholarly work and interests are focused on diversity and anti-racism in social work education and in exploring globalization and international partnerships through research on the experiences and impact of international volunteers. Dr. Deepak has served the Council on Social Work Education in a leadership capacity through her involvement in the Council on the Role and Status of Women in Social Work Education from 2013-2019. Since 2015, she has been appointed to serve as a consulting editor for Social Work: A Journal of the National Association of Social Workers. In 2015, she was awarded the Best Qualitative Article for Volume 50, Journal of Social Work Education for the paper co-authored with Mary Tijerina, Mexican American Social Workers’ Perceptions of Doctoral Education and Academia. In 2011, she received the Feminist Scholarship Award, Council on Social Work Education Council on the Role and Status of Women in Social Work Education for the paper, Sustainability and Population Growth in the Context of Globalization: A Postcolonial Feminist Social Work Perspective. Dr. Robin Sakina Mama is Dean of the School of Social Work at Monmouth University, West Long Branch, New Jersey. She received her BSW degree from College Misericordia, in Dallas, PA and her Master of Social Service, Master of Law and Social Policy and PhD in Social Work and Social Research degrees from Bryn Mawr College. A full Professor at Monmouth, Dr. Mama has taught in the International and Community Development concentration of the MSW program. She is also a member of the Steering Committee of the Global Alliance to Strengthen the Social Service Workforce. Recently, Dr. Mama has been appointed to serve on the New Jersey Advisory Commission on the Status of Women advocating and making policy recommendations for women of all races and creeds. 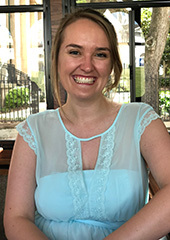 Abigail Asper is expected to receive her MSW degree from Fordham University Graduate School of Social Service in May 2019. At the UN, she is a member of the NGO Committee on the Status of Women, where she has contributed to outcome statements for the 62nd and 63rd Commissions on the Status of Women. She is also active on the NGO Committee on Migration, particularly the subcommittee on xenophobia and social inclusion, where she contributed to a shadow report on the status of migrant women as well as a compendium of policies and practices related to the well-being of migrants. Ms. Asper is also passionate about public health, violence prevention, and generally using policy to promote the rights and interests of marginalized groups. Born in Brazil and immigrating to the United States at the age of 14, achieving higher education has been a personal goal since my arrival. As an immigrant who started without being able to communicate more than two words in English, the road to the Fordham University’s graduate social work program and becoming an IFSW intern to the United Nations has not been an easy one. Nevertheless, having had this experience inspires me to strive towards assisting in the creation of a global immigration standard that is driven by a human rights framework. I also strive to support the fight towards social justice for Indigenous Peoples and for quality education for current and future generations.